When you think of Christmas, you think of John Lewis & Partners and their pretty epic Christmas adverts – it’s become a phenomenon and it’s clear to see why. 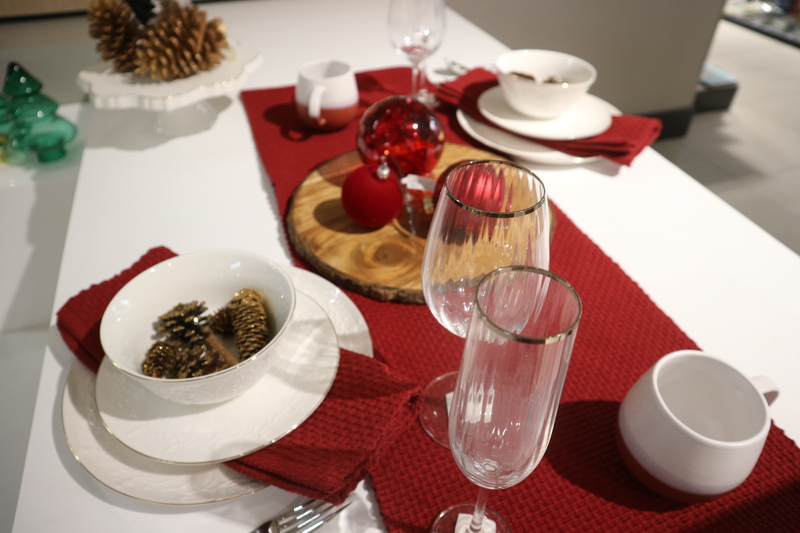 They also go pretty big when it comes to Christmas decorations, tableware, and accessories in their stores and online. I went to down my local store (Leeds) and picked out a few of my favourite pieces to maybe help inspire your 2018 Christmas decorations. 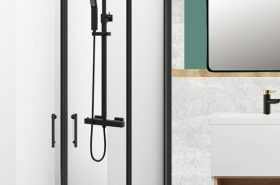 This year John Lewis & Partners have collated their products into colour collections: Ruby, Emerald, Amber, Gold, Jet, Sapphire and Moonstone. 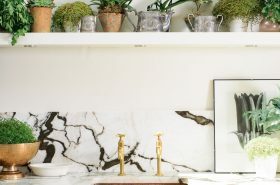 All with a completely different theme and look – there really is something for everyone. They weren’t all available for me to fawn over in store so I’ve picked my 3 favourite but all all links are in bold if you want to take a peek at anything up close! I focused on the pieces to decorate a festive table and the Christmas tree decorations and room accessories- the homeware pieces, of course – I’m so predictable! 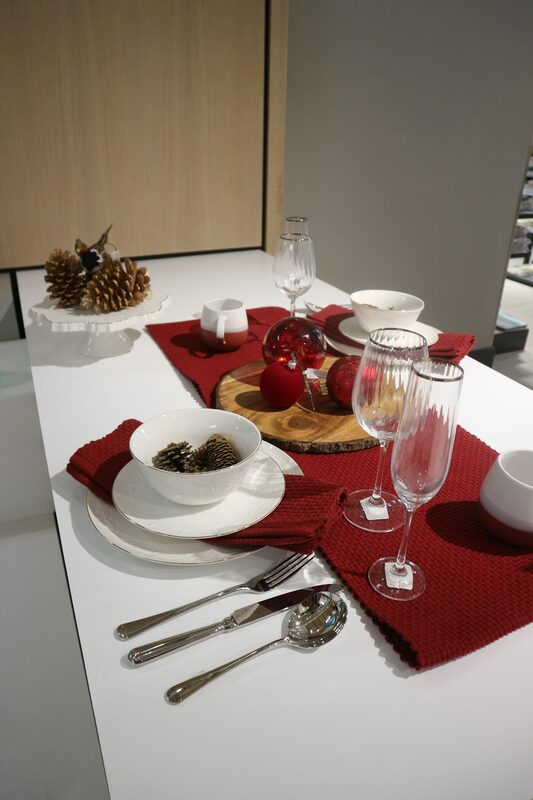 This is the table setting they had styled up in store. I love the Croft Oakham Glass Collection – Reeded glass is really popular at the moment, but the metallic band at the top of each glass adds the perfect little festive touch. They used the Croft Collection Tetbury Table Runner in Burgundy to bring in the ‘Ruby’ element and to nicely compliment the selection of baubles – my favourite of which is this stunning Beaded Snowflake Bauble (just to the left of the wine glass). 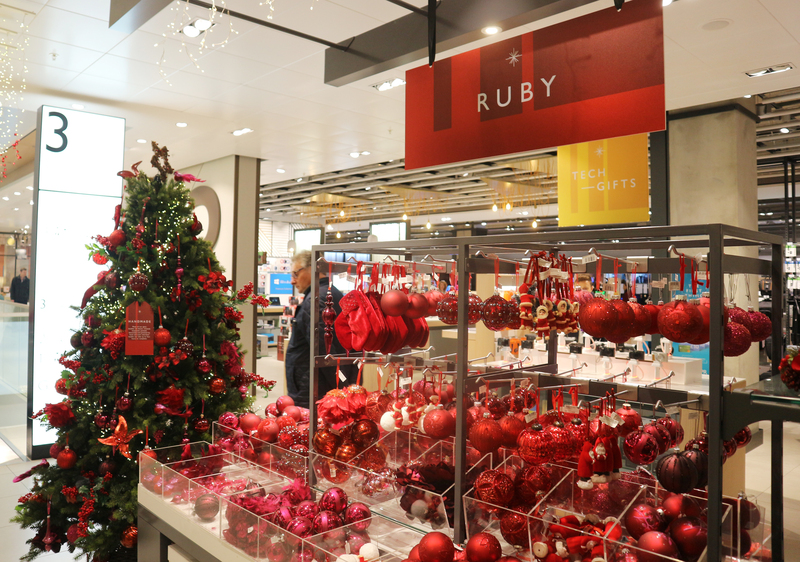 This is the incredible selection of Ruby Collection Tree decorations in store. 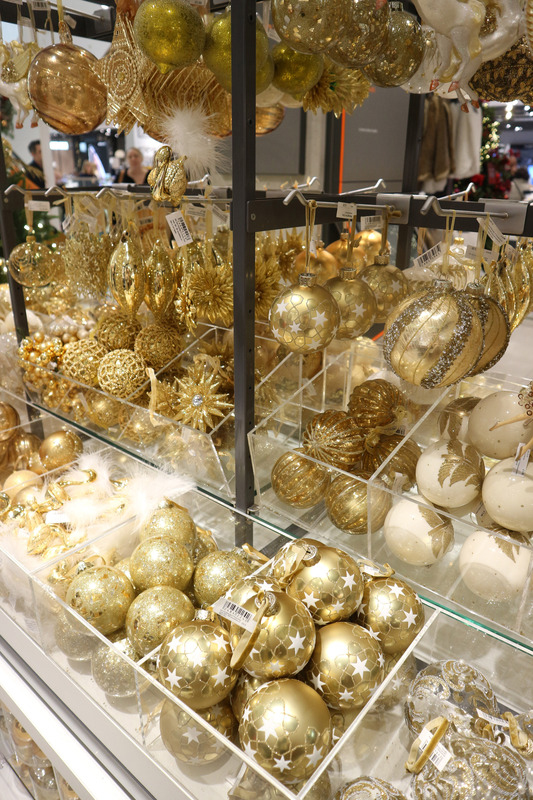 The baubles in this collection are really ornate and quite OTT – perfect for Christmas! 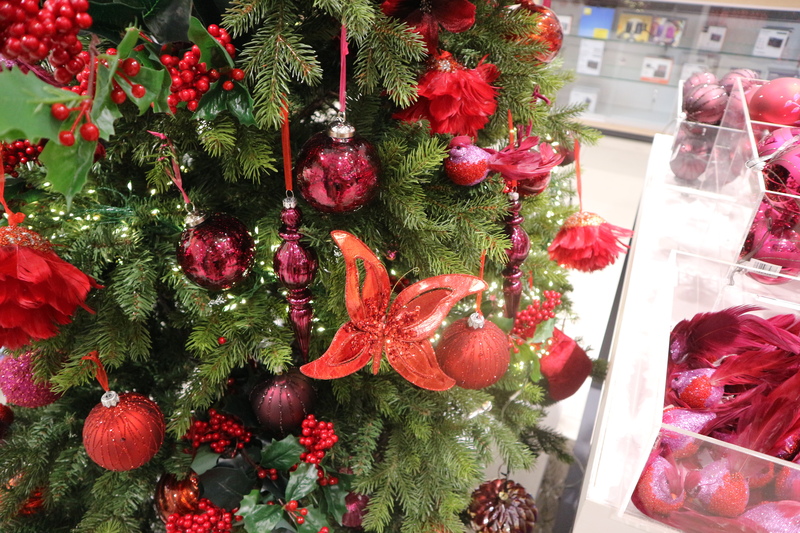 My 2 stand out baubles were – The Glitter Bird Clip On (hiding near the top under the feather bauble) and the Plum Stripe Bauble (hiding under the butterfly). 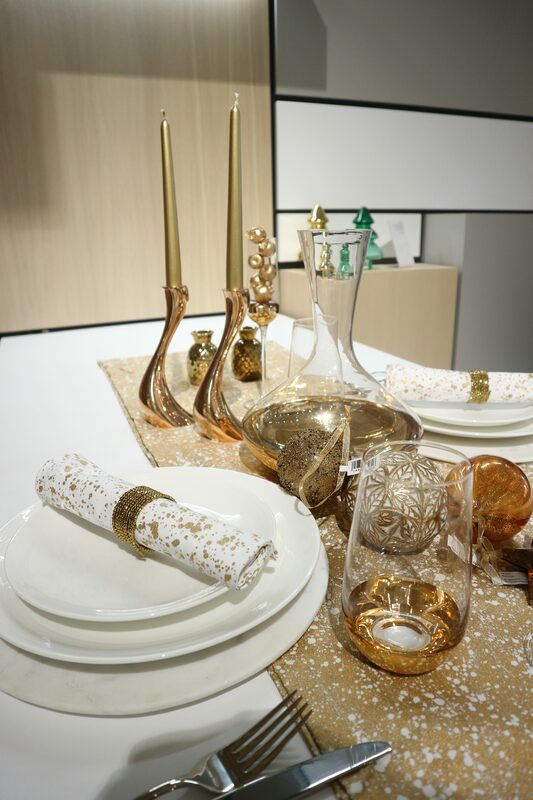 This is how they had styled their Gold Collection table and glassware – My favourite piece is the Metallic Splatter Table Runner, it’s so different a modern take on the Gold trend – it also comes with reveresed pattern Metallic Splatter Napkins. 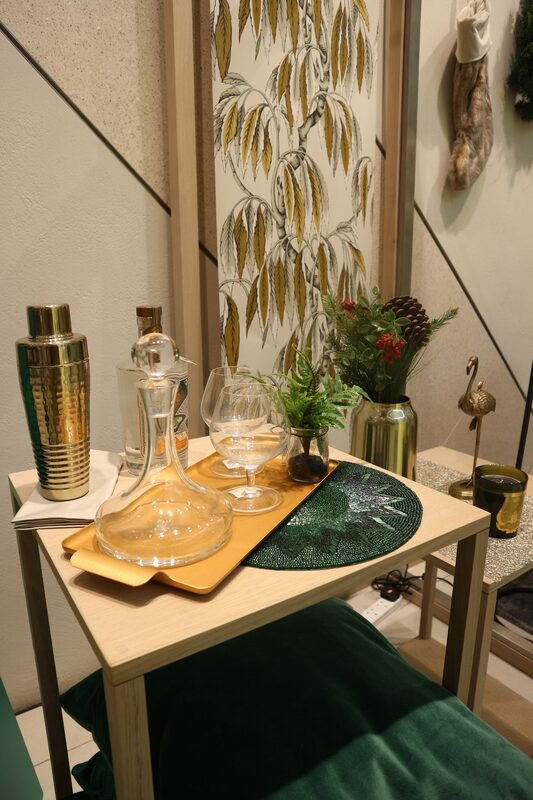 The other stand out piece from this set up is the glassware, the Gold Dipped Highball Glasses add a really classy edge to this table setting. 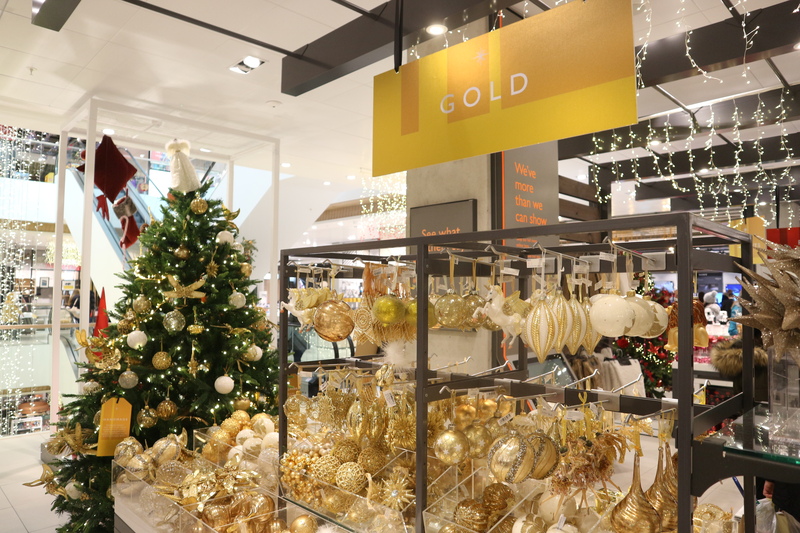 This is the incredible selection of Gold Collection Tree decorations in store. The baubles in this collection stunning – a lot of beaded textures and even a unicorn! This was the only table setting that was actually styled on a table so you really got a sense of how it would look in a real home – stunning! 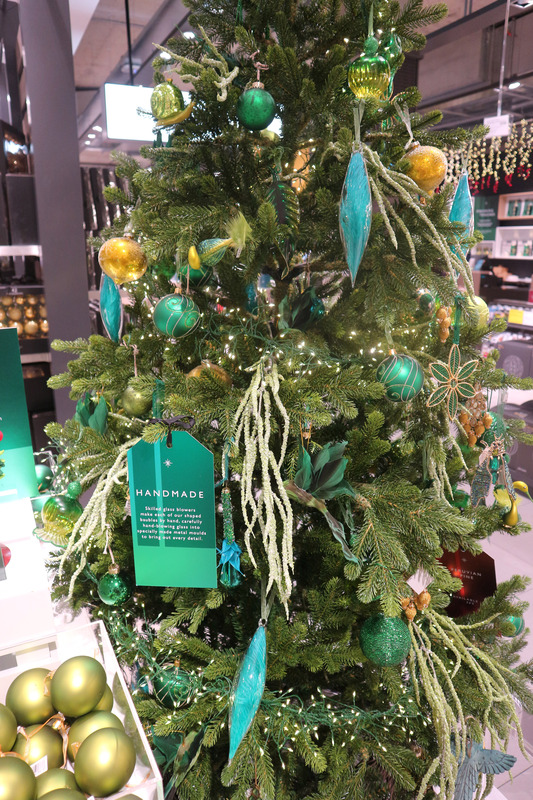 Emerald Green is one of my favourite colours and when mixed with Gold – it’s the perfect theme of Christmas decorations. 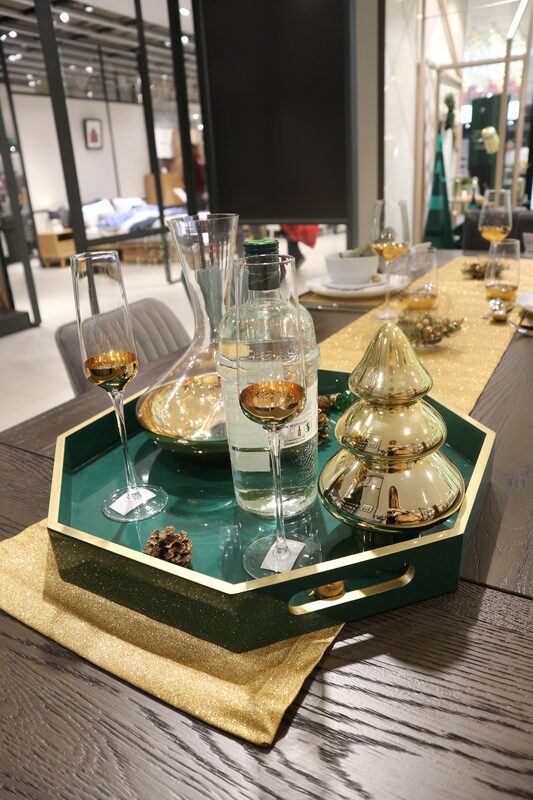 The Hexagon Tray is probably my favourite piece of this set up, it brings in both the Gold and the Emerald tones. 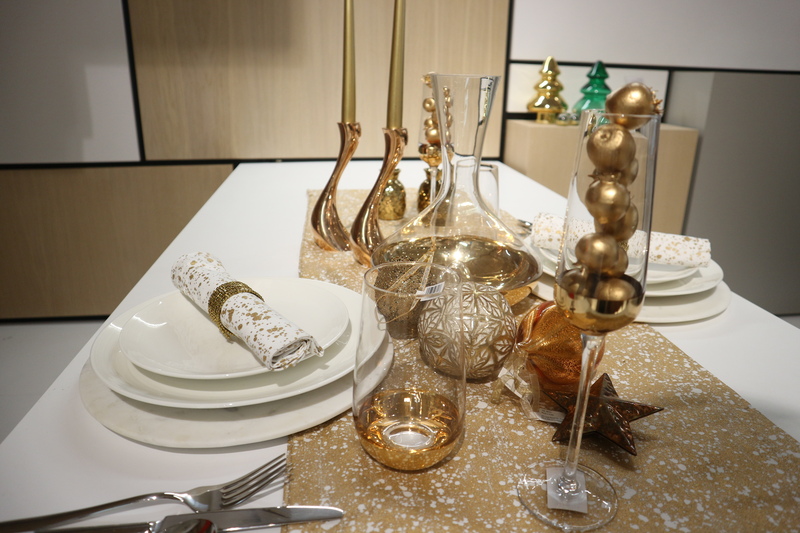 They’ve used the same Dipped Gold glassware from the Gold Collection and it goes perfectly. I also think this Explosion Pattern Bead Placemat is absolutely stunning and brings in an extra glamour element to the table setting. 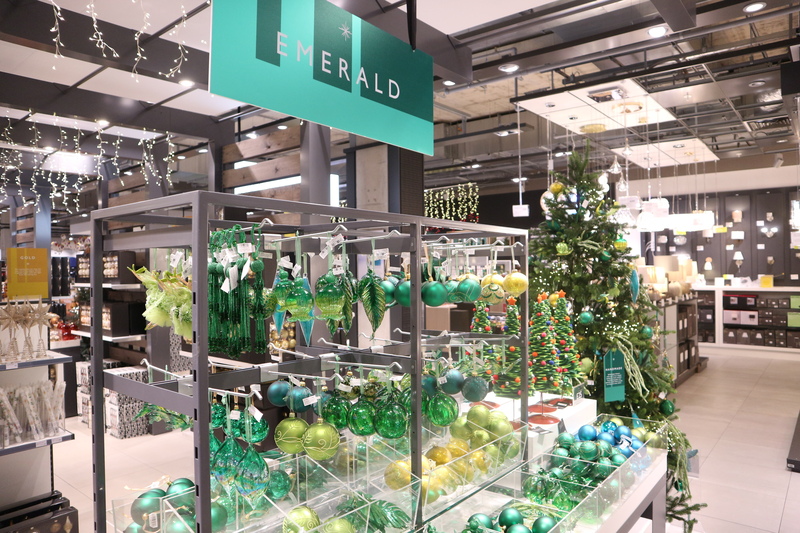 This is the incredible selection of Emerald Collection Tree decorations in store. So there are my favourite pieces from the John Lewis & Partners Christmas collections – which is your favourite? Here’s some more inspiration if you’re struggling to pick between the collections and a link here to view the rest of the Christmas Collections. You can get free standard delivery for orders over £50, and free Click & collect to Waitrose & Partners and John Lewis & Partners stores for orders over £30.